Ingredients are the same as in so many other parts of the world: there is sea, sun, mild weather, small coastal towns and villages, beaches and lovely vegetation. 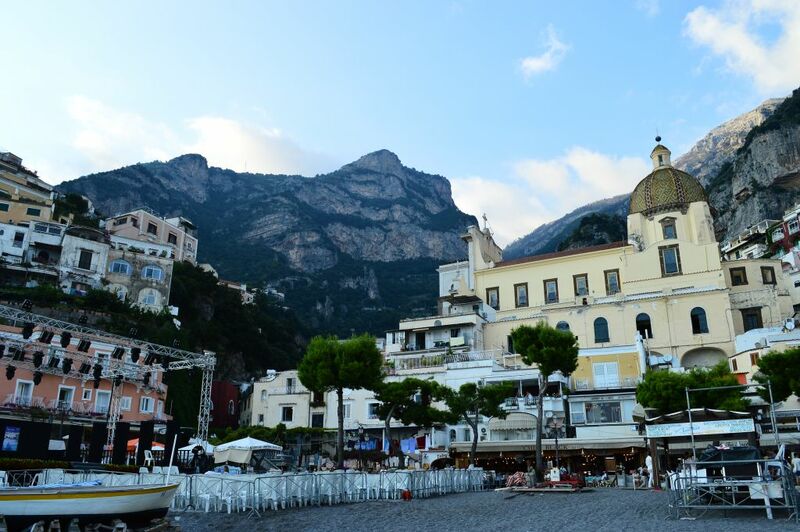 What makes Costiera Amalfitana stand out as one of the most memorable places I have ever seen, though, is the road – crazy Strada Statale 163 Amalfitana that connects towns situated along the Amalfi coast, starting with Meta and ending with Vietri sul Mare. 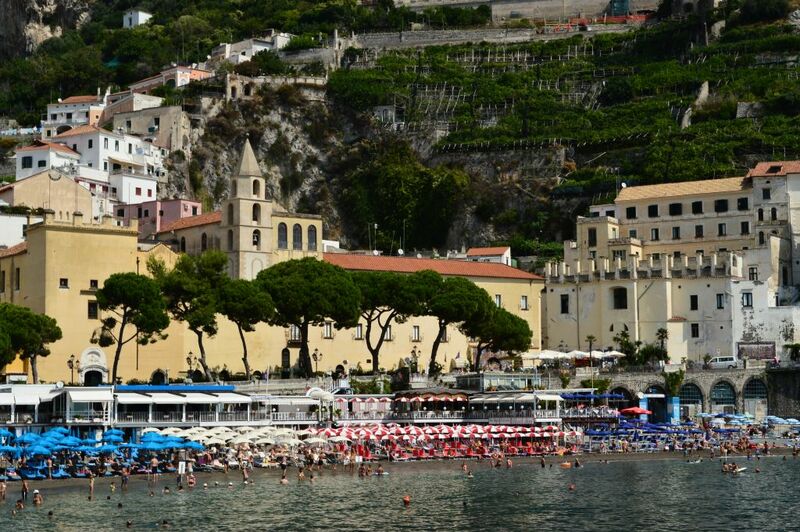 It follows the coast for some 50 kilometers and, on its way, twists into more than 1 500 bends. 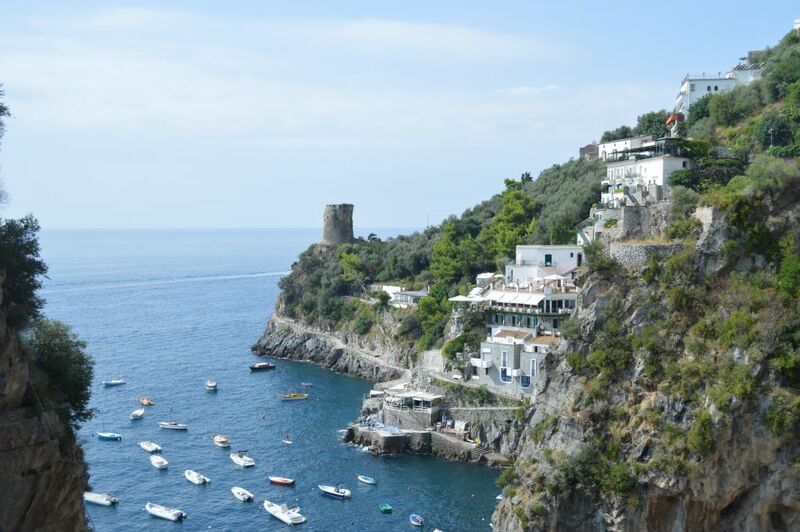 As an obsessed planner, I have read many guides and articles about the Amalfi coast before our trip. But I could have easily not wasted my time, because nothing can really prepare you for the experience of this crazy adventure. Let me try to explain: the Strada statale 163 is narrow. Very narrow. And very very bendy. There are hundreds of buses, thousands of cars and what seems like millions of motorcycles squeezing their way on this thin strip of asphalt. One side of the road is bordered by the mountains, while on the other, ridiculously weak railings stand between you and the cliffs plummeting down to the sea. Add to the mixture the legendary Italian driving, pedestrians casually walking around and admiring the views (although there are no sidewalks) and cars parked along the road, making the driving lanes even narrower, and what you get is, literally, one absolutely crazy ride. What feels like a life threatening experience heightens your senses and you can’t help but feel adrenaline (or fear?) rushing through your veins. 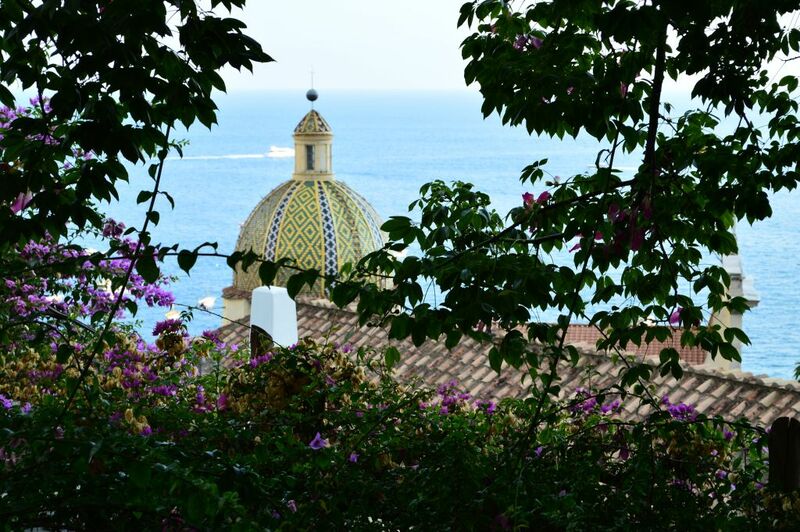 Perhaps the realization that you might not survive the ride makes everything around you so much more amazingly beautiful and memorable: deep, dark blue of the sea, clear blue sky dotted with birds, greens of the pines, purples of the bougainvillea and yellows of the lemon trees. 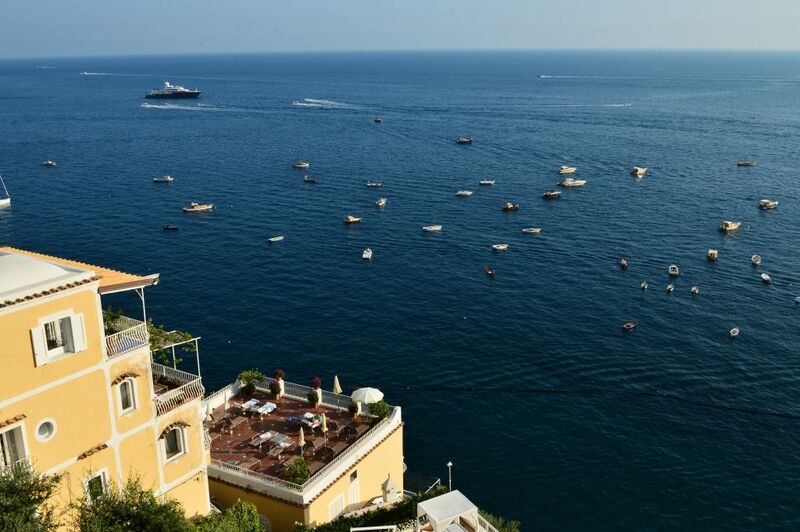 Because you know that, in a way, your destiny is out of your control, you soon adopt the “che sarà sarà” principle and focus on the openness of the horizon in front of you and the strange feeling of freedom under the hot sun. It does not matter anymore whether the bus driver is skilled enough to drive you safely to your destination, you just stare in silent awe. Strada statale 163 connects a number of little villages and towns, some famous for their sights, some for their beaches, some for their atmosphere. 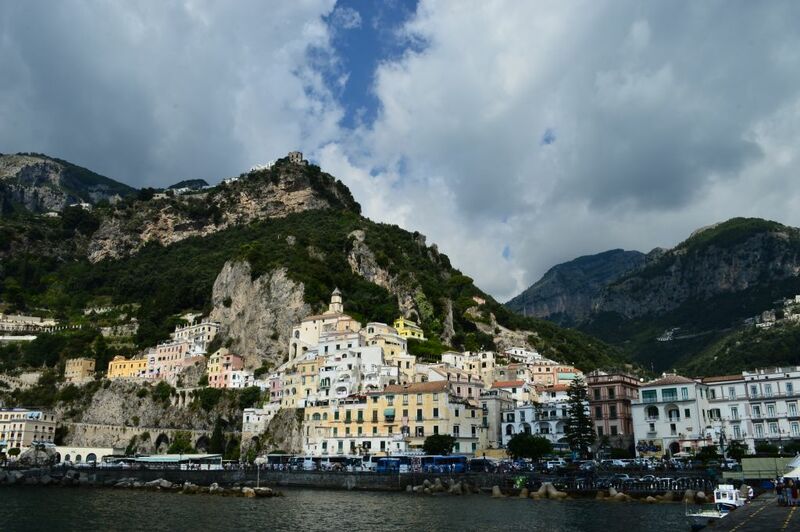 Amalfi is the biggest of the lot, and boasts rich history from the times when it was a capital of the maritime republic (the Duchy of Amalfi) that was an important trading power in the Mediterranean between 9th and 13th century. 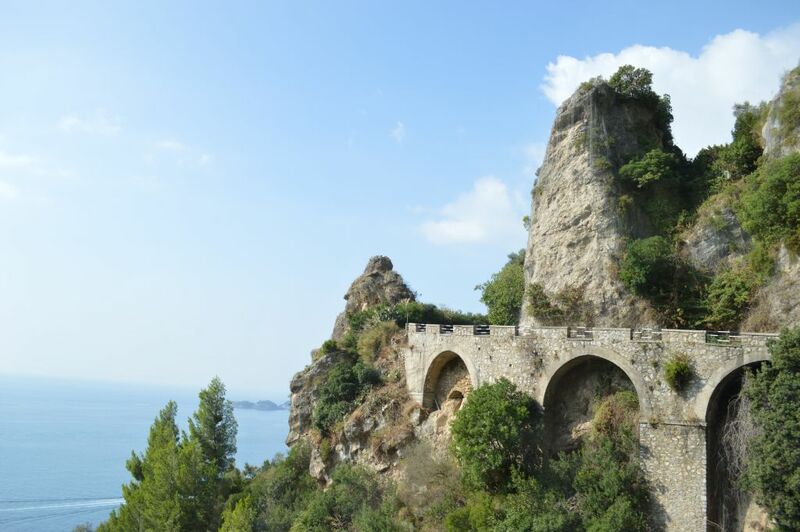 The town is situated at the foot of Monte Cerreto and is surrounded by dramatic cliffs and coastal scenery. 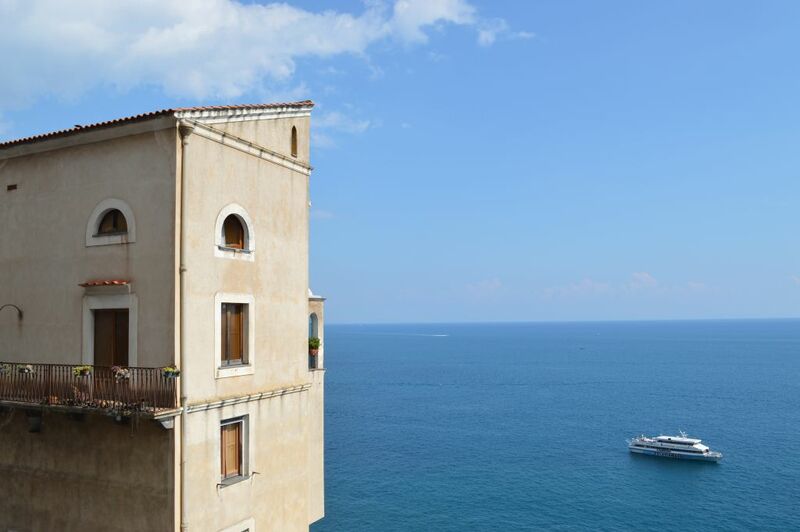 The energy of the town is contagious, whether you are soaking it up from the beach or the pier, or feel adventurous enough to jump into the sea of people exploring the old town. 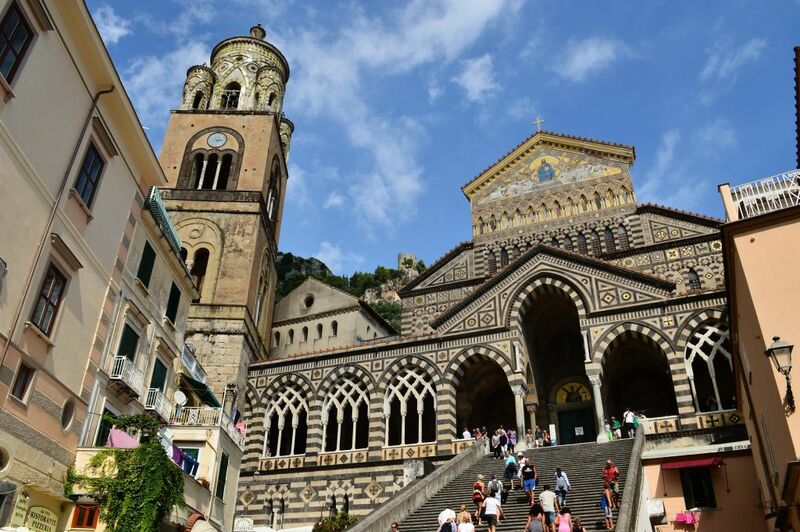 The main sight of the town is the Amalfi cathedral, dating from the 11th century, so oversized for the town and the small central piazza it overlooks that you can’t help but crack a smile, but also understand how comforting and reassuring the sight of it was for the people throughout history. 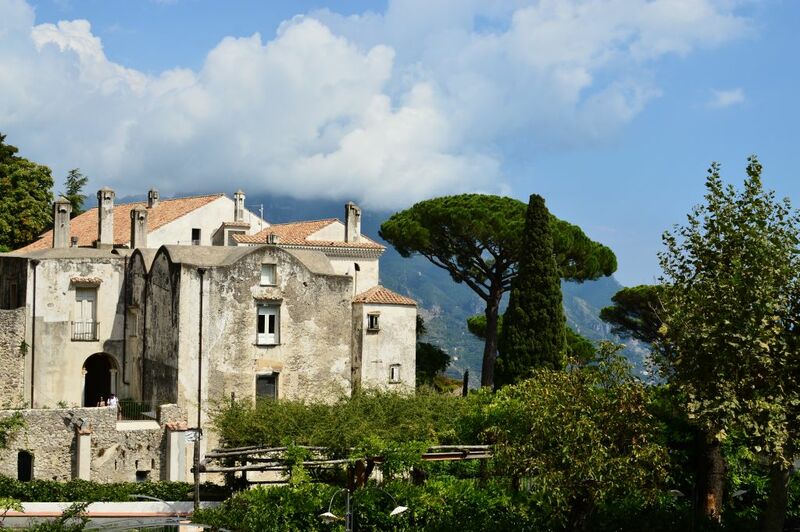 Ravello, situated high up in the mountains, is unlike other towns on the Amalfi coast. 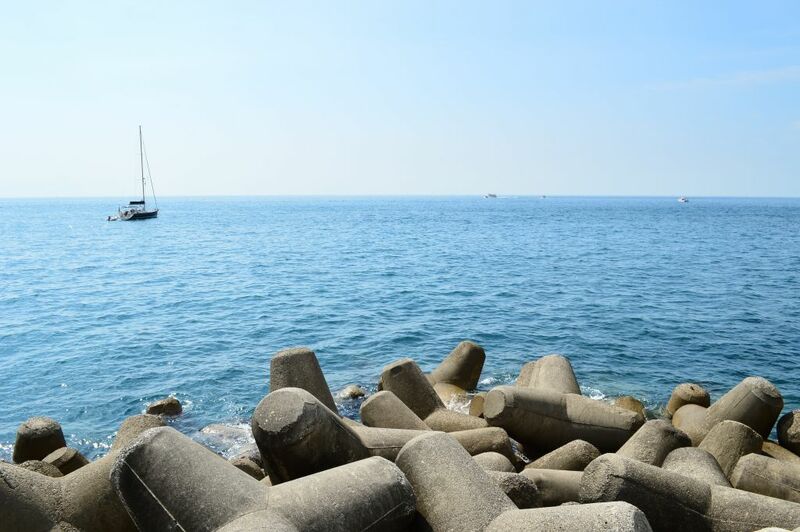 The air is fresher, the atmosphere calmer and cooler, and it is a perfect place to take a break from the chaos of the coast. 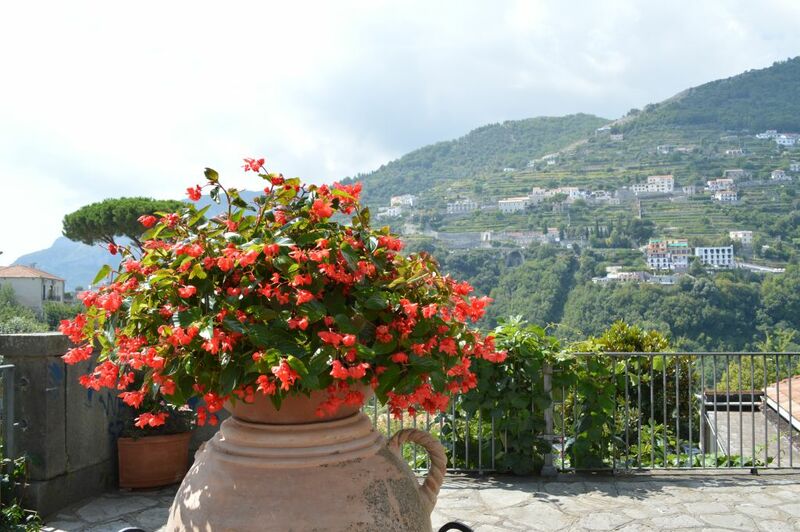 Classical, serene atmosphere of the main piazza and cafes, as well as wondrous views onto the coast and the sea, make this town an instant favorite. 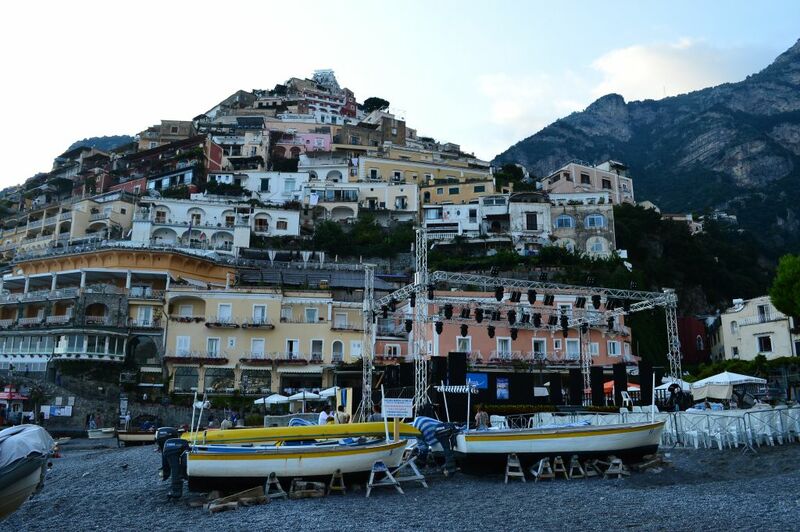 Positano is a town whose reputation, one of the jet-set and high life, precedes it. Expensive restaurants, overpriced souvenirs and luxurious cars paint the beautiful, but somewhat shallow picture of a town that could be much more than just a playground for the rich and the famous. Its urban layout is really fascinating and the small beach at the bottom of the town feels like a really simple, intimate place. While towns such as these represent, at least theoretically, the best that the Amalfi coast has to offer, the real beauty of this area (at least in my opinion) lays in the intimate, simple, memorable images that take you away from the chaos of the bends and the driving and the tourists in the towns: strange angles in which the pines grow, lines that distant boats draw on the blue canvas of the sea, terraces of old houses that were here long before the fame and the tourists, allowing their lucky owners to admire daily the gift of nature that has generously been handed to them, living a life that seems like a dream. 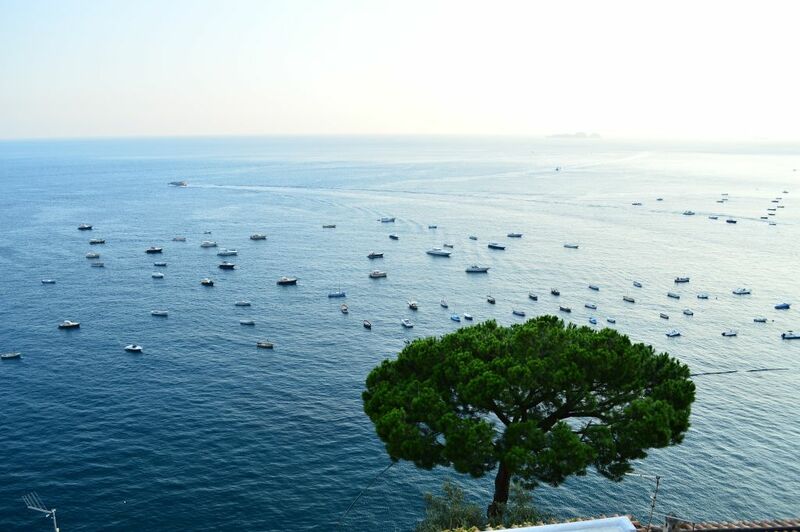 That’s why the Amalfi Coast is so easy to remember and hard to forget. Thank you for your comment, it really is true!